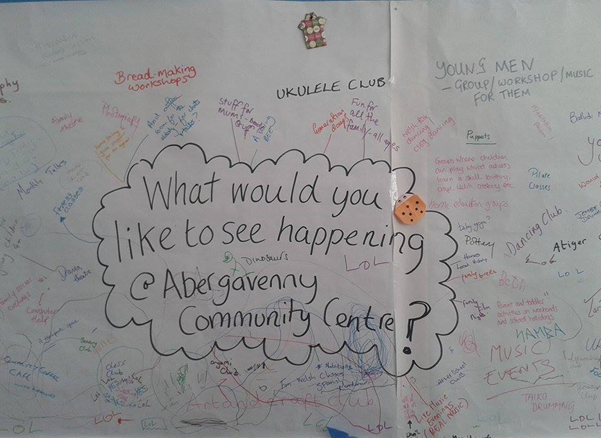 For those who do not know the Abergavenny Community Centre is a place for people of all ages and backgrounds to meet, socialise and share in a range of activities. Located opposite the Somerset Arms in what used to be Park Street school, the centre works to provide the people of Abergavenny with a place to carry out their interests and attend events. 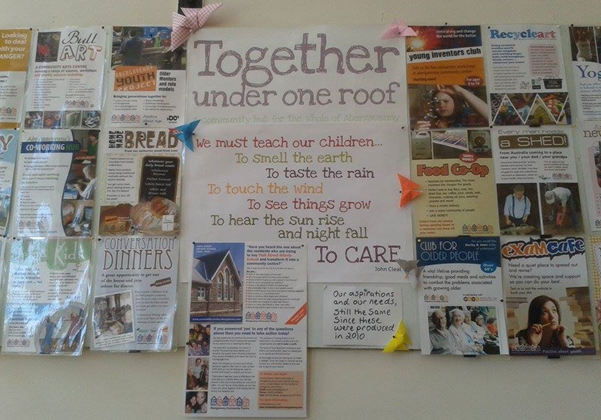 The centre currently has a wide variety of things to do from including martial arts, sign language, bread making and many many more (which can be found by clicking here). 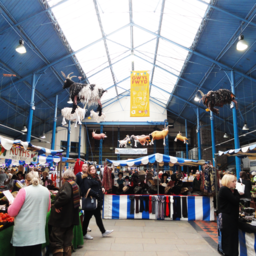 The centre has a can do attitude and listens to the needs of the people of the town. The centre’s mind map made up of the local people’s ideas for what they would like to see and do with the space. Activities designed directly in mind with visitors ideas and requests. The centre’s activities are always updated and added to so if there is something you would like to do you should get in touch! If there is an organisation, group or club in Abergavenny that particularly resonates with you, please share it with us at info@abergavennynow.com and we will cover it in a future article.